The IMN's spiritual leader has made personal sacrifices in his agitation for Shia Muslims in the country. 400 members of the Islamic Movement of Nigeria (IMN), also called Shiites, were arrested by officers of the Nigeria Police Force for disturbance of public peace and law and order in the Federal Capital Territory (FCT) on Tuesday, October 30, 2018. They were alleged to have set a Police vehicle on fire, and arrested with 31 bottles of petrol bombs and other dangerous weapons. The arrest followed days of protests and unrest in Abuja that had led to the killing of six Shiite protesters, according to the authorities. The group claimed that more than 50 people were actually killed in attacks that were carried out by the Army and Police. The recent unrest is merely another chapter of a sustained confrontation that has played out for the past three years. 52 Shiites were similarly arrested in January 2018, some with bottles of improvised petrol-bomb, stones and catapult used to attack police operatives and damage police operational vehicles. A police inspector was also killed after he was stoned and stabbed to death by a mob during a Shiite protest in Kaduna in June 2018. The nucleus of the group&apos;s protests has, for the last three years, been the agitation for the release of its spiritual leader, Ibrahim El-Zakzaky. 65-year-old El-Zakzaky, a native of Zaria, Kaduna was so impressed with the 1979 Iranian Revolution so much that he travelled to Iran to become a Shia cleric and import the second largest branch of Islam into Nigeria, racking up an impressive amount of followers in the 1990s in a country that&apos;s dominated by Sunni Muslims. 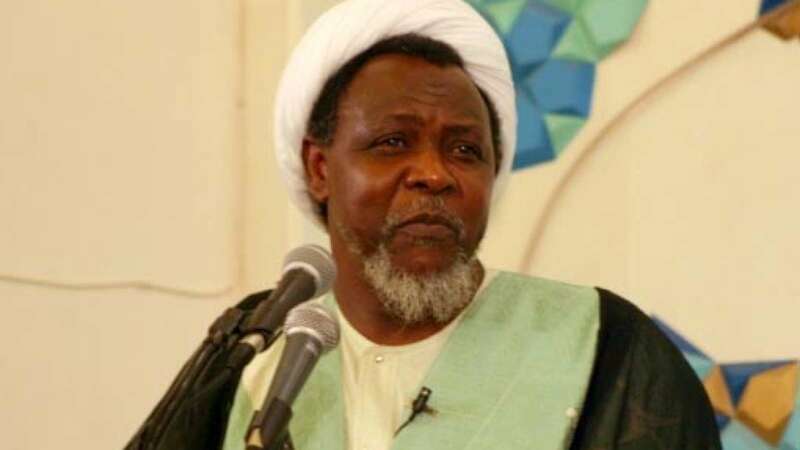 The spiritual leader of the IMN is believed to be committed to the goal of applying a more rigorous application of the Islamic legal and administrative systems to Nigeria and ultimately turn it fully into an Islamic state. His political ideal has remained turning Nigeria into an Islamic Republic based on the Iranian model. This is why he was one of the main opposition against the application of Sharia Law in certain states in the north, as he believes its total application is impossible if the system of government is not fully Islamic, devoid of any other religion. El-Zakzaky never attended a formal primary school with his early education taking place at the Provincial Arabic School, Zaria (1969-1970), the School for Arabic Studies, Kano (1971-1976) before he obtained a first class degree in Economics at the Ahmadu Bello University (ABU), Zaria (1976-1979), a degree that was denied him due to his Islamic activities. With his unpopular agenda for the Nigerian state, El-Zakzaky has always been an adversary of the government, both military and democratic. He has spent around 11 to 12 years in total behind bars due to his uncompromising agenda with the most common offence being sedition or inciting disaffection. He was jailed two different times by the regime of the late military Head of State, Sani Abacha. He famously declared "there is no government except that of Islam" during Abacha&apos;s regime. El-Zakzaky&apos;s advocacy for an Islamic Republic has invited personal tragedy into his life, most of it wrought by the Nigerian Army. During a pro-Palestinian procession by the IMN in Zaria on July 25, 2014, soldiers fatally shot 35 of El-Zakzaky&apos;s followers to death. Three of them, Mahmud, Ahmad, and Hamid, were his sons. The killings drew outrage with many acknowledging that the procession had been peaceful until the massacre happened. Even the administration of then-president, Goodluck Jonathan, distanced itself from it. The Nigerian Army officially claimed soldiers acted in self-defence and nothing came of an investigation of what is popularly dubbed the Zaria Quds Day massacres. A year later, more personal tragedy was visited upon El-Zakzaky&apos;s household, an episode that continues to drag until now, three years later. There are two versions of the events of what set off the 2015 Zaria massacre of IMN members. Regardless of whose story you believe, the one true fact of the matter is that IMN members and the convoy of the Chief of Army Staff, Lieutenant-General Tukur Buratai, were on Sokoto Road in Sabon Gari district, Zaria, at the same time on December 12, 2015. This is where the narration of events differ. While the IMN claimed that unarmed worshippers were attacked by the Army while conducting its procession, the Army accused the sect of blocking the path of the motorcade transporting the Army Chief of Staff and stoning it, an act declared by the Army to be an assassination attempt. In the violence that escalated after then, over 300 Shia Muslims were killed by the Nigerian Army. Again, three of those killed were El-Zakzaky&apos;s sons. Despite the public outrage that followed this massacre, little has been done to punish the perpetrators. During the invasion, El-Zakzaky was arrested and imprisoned with his wife, Zeenah, and indefinitely kept out of the public eye for years without any official court charges. Despite a December 2016 court order by Justice Gabriel Kolawole of an Abuja Division of the Federal High Court demanding his release, El-Zakzaky remained in custody and kept away from prying eyes, leading to concerns that he might have been killed. Intense pressure and disturbing reports that he had been extra-judicially murdered in custody forced the Department of State Security (DSS) to parade an ill El-Zakzaky in public in January 2018, his first public appearance since he was arrested. Five months later in May, he was finally arraigned before a Kaduna High Court and charged with unlawful gathering, criminal conspiracy and culpable homicide. The culpable homicide is in relation to the death of Corporal Yakubu Dankaduna, a soldier who was allegedly killed by IMN members when he alighted from Buratai&apos;s convoy to disperse the group&apos;s procession in December 2015. The allegation of homicide is punishable by death, under section 190 of the Kaduna state penal code law, 2017. Over the course of the past three years, the Nigerian government&apos;s treatment of El-Zakzaky and his Shia followers has invited the added accusation of deliberate persecution especially since the events of the period have happened under the current administration of President Muhammadu Buhari, a Sunni Muslim. El-Zakzaky&apos;s commitment towards turning Nigeria into an Islamic Republic will definitely not win him many sympathisers, but there are fears that his continued persecution could eventually lead the IMN down the path of terrorist insurgency, much like Sunni sect, Boko Haram, became after its spiritual leader, Mohammed Yusuf, was extra-judicially murdered by police officers in 2009. The group&apos;s unending clashes with security operatives have left a sour taste in the mouth and heightened tensions across the country and many have cautioned the government to tread lightly so as not to create another security concern the country will have to battle for years. El-Zakzaky will continue to remain a significant symbol in the Shia movement that has taken roots in several states in the country due mostly to his efforts. With his propagation of the movement, the sect is believed to own more than three hundred primary/secondary schools, known as Fudiyyah Schools, located in different places mainly in the northern part of the country, as well as countless Islamic centers and other institutions. El-Zakzaky has made countless sacrifices in his agitation for the Shia sect in Nigeria and handling him and the Shia movement in isolation from the letters of the law will make it hard to convince anyone that it&apos;s anything other than a targeted persecution.